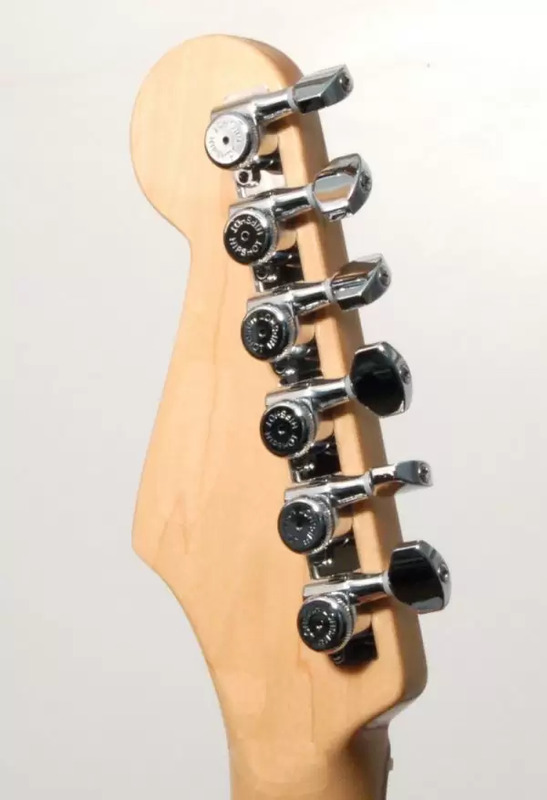 Upgrade your 6 In Line tuners to a set of Hipshot Locking Tuners. 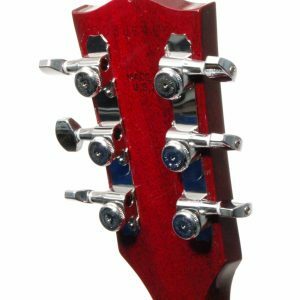 These tuners will improve the tuning accuracy and stability of your guitar. 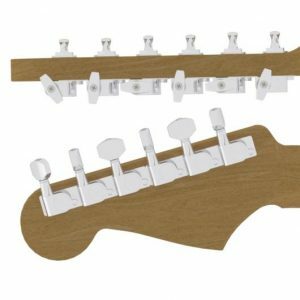 Their UMP™(Universal Mount Plate), included free in this kit, helps fit these tuners without the need for drilling or screwing. 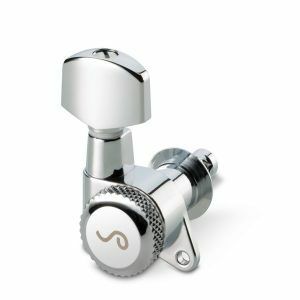 The Hipshot Grip-Lock tuners come with a locking mechanism to lock the string in place rather than winding around the post. 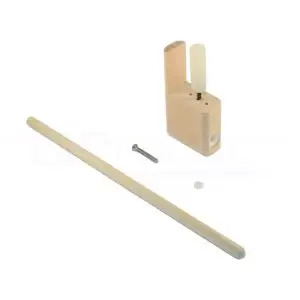 The string is threaded as usual through the eye of post and then, using the thumbwheel on the back of the tuner body, the pin is tightened against the string. You would then tune the guitar up as usual. Changing strings is quick and easy! 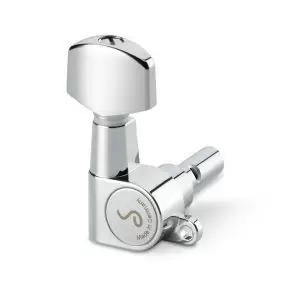 The locking mechanism also improves your guitar’s tuning stability. 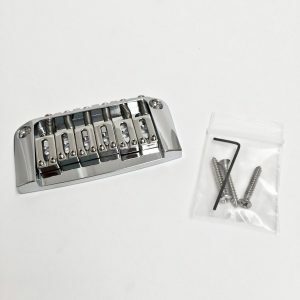 Guitar strings tend to slip when wound around the string post, often after aggressive playing or bending – having a locking mechanism completely removes this problem. 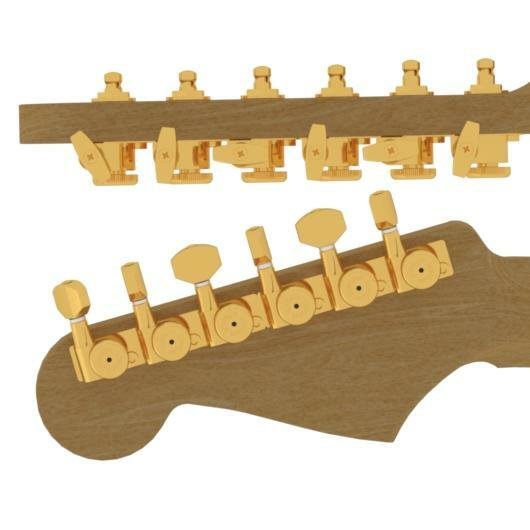 These Hipshot Locking Tuners posses the precision, craftsmanship and technology as expected from Hipshot Products. Screws also included in case your guitar is not compatible with the UMP™. 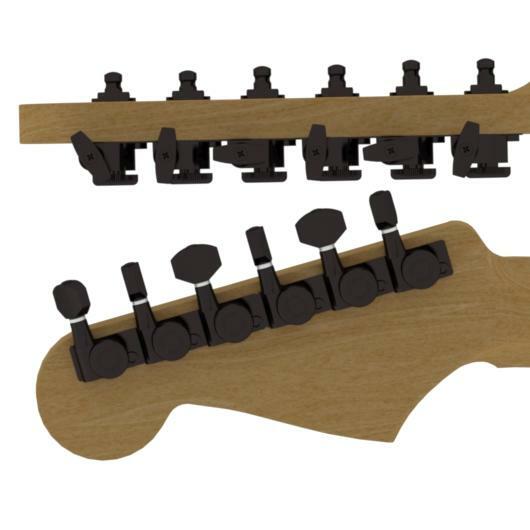 Locking pin and thumb wheel system clamps onto your string for extra security. 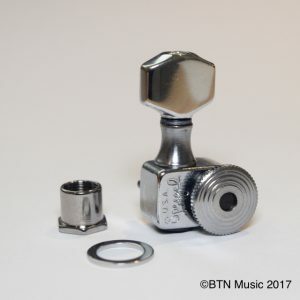 Optional staggered post configuration means you can increase your break angle, reduce buzz at the nut and free your guitar from string trees forever!